Wow I’ve had a busy week of netball, basketball and football! I’ve just been to parents evening and I now have time to actually sit down, read some blogs and relax.. While trollin’ on the internet I found that the River Island Spring preview had been released. I have to say I wasn’t particularly impressed with what I saw. Above are my favourite pieces. 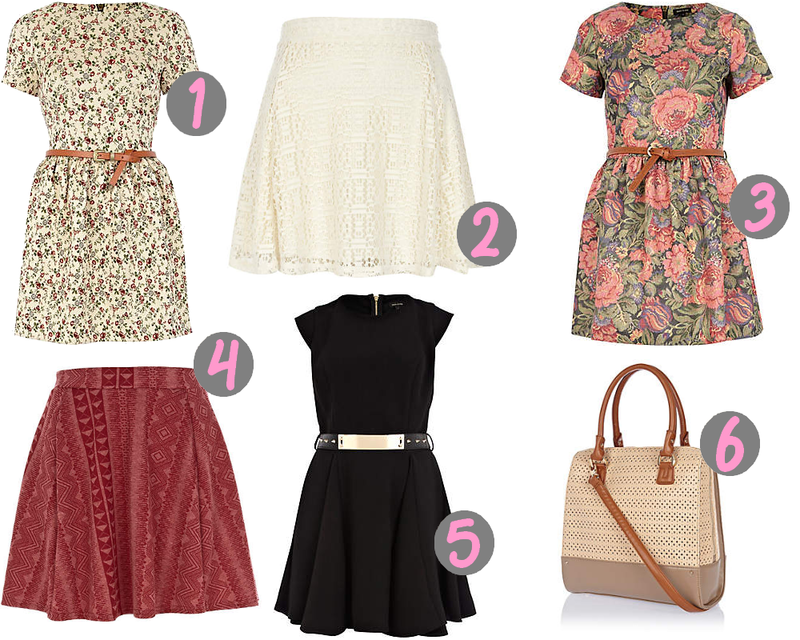 I’d definitely buy numbers 1 and 2 because they have spring written all over them, floral print and really cute. I like the vintage look number 3 has especially. I always like River Island bags but barely ever buy them, I’m not too sure on the quality because they seem to not last very long before they break, but I do really like number 6. The colours are really calm. If you want to view the spring collection you can do so right HERE.